Time & Date: Saturday, 1st July at 2 p.m. - 4 p.m.
Get off at IIDABASHI Station of JR Sobu Line. Visit the building just in front of the station. Take an elevator to the 10th floor. 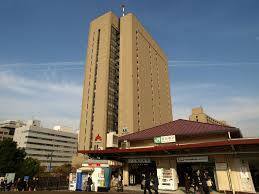 Get off at IIDABASHI Station, which means the Y13, T06, N10 or E06 station on either Y, T, N or E Line. Take the B2b Exit, then an elevator to the 10th floor.